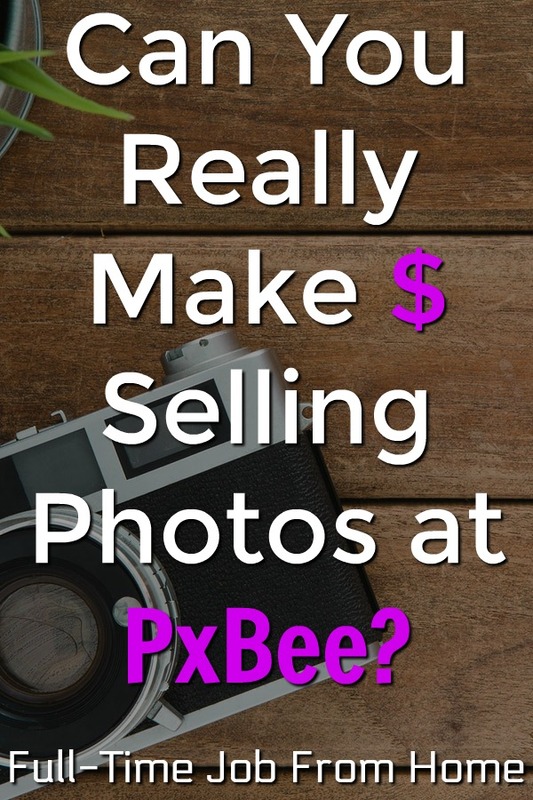 PxBee is a stock photo marketplace which will allow you to make money on the photos that you take. They claim to pay up to 50% revenue share. In this review, I will explain how it works and how you can make money with PxBee. If you want to join and try to sell your photos, go here to sign up and get started. They want you to select that you have read and accepted the Terms of Service and Licensing Agreement. Finally, submit. Again, there is a lot more in the Terms of Service, so please read through them before joining! How Does PxBee Revenue Share Work? Once PxBee has approved your image, it will be listed for sale to all buyers. The price is determined based on factors such as license type, size, quality, transaction model, and conditions set by buyers, whether a Model Release is needed and included, and possibly other factors. Not all photos are priced the same. When someone buys a photo, they pay the specified price for a license of the photo. Ownership of the photo is NOT transferred, and it can be sold over an over to multiple buyers. PxBee will give you a 50% “Revenue Share” after all taxes and fees have been applied. They’ll do this each time the photo is sold. Once the sale of the license has been verified, PxBee will credit your account with your share of the sale. I went to the website to look at photos as though I was going to purchase them. I added 12 images to my shopping cart. All but 1 were $9.99. The outlier was $4.99. So imagine some fees being taken out for taxes and certain payment platform fees. The leftover amount is allocable revenue. That is the amount of which you will receive 50%. Buyers can buy packages that allow you to get images for as low as $0.27 each. It’s a big range between subscription pricing and retail pricing of $2.99 to $9.99 depending on the size. It’s uncertain how much you would be paid if your image is purchased using a subscription plan. The total balance in your account consists of 2 parts – settled funds and expected funds. The Settled funds are updated at the end of a 30 day period. Only the settled funds can be cashed out. Expected funds, also called unsettled, are held and could be subject to adjustment before those funds become “settled.” Again, only settled funds can be withdrawn. You’ll need a PayPal account to cash out. They make it sound like you can request a payout at any time. The PayPal transaction fee (if there is one) will be deducted from the money you are withdrawing. As the contributor, PxBee will ask you for permission to license your image. There are currently 2 types of licenses and 1 more coming soon. Users can only use your photos with the terms of the license they purchase. The 2 license types are Royalty Free (FR), and Subscription. The third license coming soon is called One-Time. All 3 licenses support commercial use, except for portraits that don’t come with a proper model release. The Royalty Free license is the highest priced, but most flexible. The Subscription License is the least expensive, but the use is limited to the subscription period. Unfortunately, I found no feedback from anyone who has joined PxBee and successfully sold their photos. If you’ve done it, would you please comment and tell us about it. Is Selling Your Photos to PxBee a Scam or Legit? Based on my research, PxBee is not a scam! If you’re a photographer or even a wannabe, there’s no harm in signing up to see if your photos will be approved. This could be a fun way to make a little extra money with your hobby! If you want to join, go here to get started. I hope you enjoyed this PxBee Review. If you’re interested in selling photos online check out these other 19 sites that pay you for your photos. If selling photos isn’t your thing, make sure to check out My #1 Recommendation, it’s how I made over $13,000 online last month!